Goodreads has introduced a new US giveaways program which will replace the current giveaways program on 9 January 2018. Under the new program, giveaway entries are only open to US residents. Authors on Goodreads, including Australian authors, will no longer be able to create giveaways for entrants from any country other than the US. Any giveaways created before 9 January that were open to non-US residents will still run, with non-US residents still eligible to enter in those giveaways open to their country of residence. VP of communications at Goodreads, Suzanne Skyvara, said the company’s goal is ‘to bring the new program to more marketplaces’, however no specific timing has been announced for this. In the meantime, Skyvara said ‘authors and publishers in Australia are welcome to use our new giveaways program to list giveaways offering books to US entrants, if this supports their marketing objectives’. 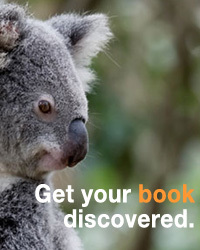 The new program also allows Kindle Direct Publishing (KDP) authors to run giveaways for Kindle ebooks for the first time. Ebook giveaways were initially introduced in May 2016, but were only made available to traditional publishers. The changes to the program will also impact some authors and publishers who were previously able to schedule and run a print book giveaway campaign at only the cost of printing the book and shipping it to the winners. Under the new program, print book giveaways will be charged the same as ebook giveaways. The new standard package costs $119 USD per giveaway for either print book or Kindle ebook format. New features include automatic additions of the giveaway book to the ‘Want-to-Read’ list of those who enter, and automatic notifications of author giveaways sent to the author’s followers. Giveaways are also shown on the Goodreads ‘Giveaways’ page and winners are sent a reminder to rate and review the book. Authors can also purchase a premium package for $599 USD per giveaway, which offers featured placement on the Giveaways page, as well as all the offerings of the standard package.